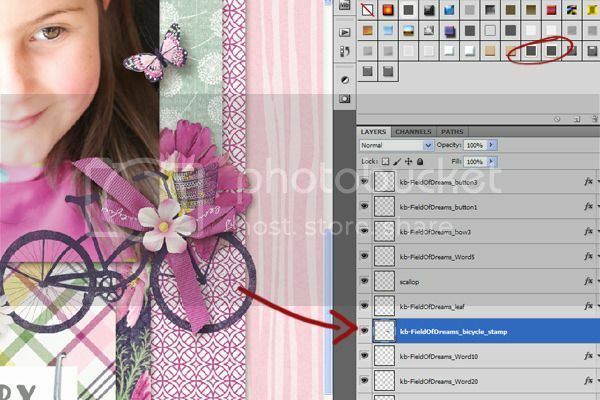 Hi everyone, it's KimB and I will be taking you through some basics on how to use one of the most fantastic 'tools' we have at our disposal in photoshop. 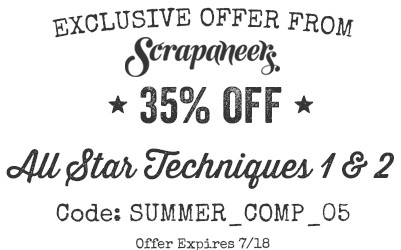 This has to be one of my favourite things to use .. not only do they save a lot of time but they can be really fun to use for adding creative additions to title work , texts, elements, framing and seriously, just about anything your heart desires. 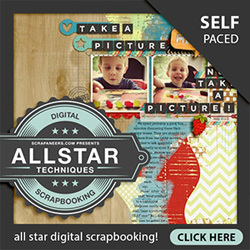 Please note that this tutorial is in Photoshop CS5. Elements users will not have all the given options available. Layer Styles all have a .ASL file association to them. Simply put, and just as it sounds, it's a style or effect added to text/a layer/element or background in a non destructive way. Chosen effects are added to your whole layer, so anything in that layer, be it an element or word art or text will have the same style/effect applied to it. 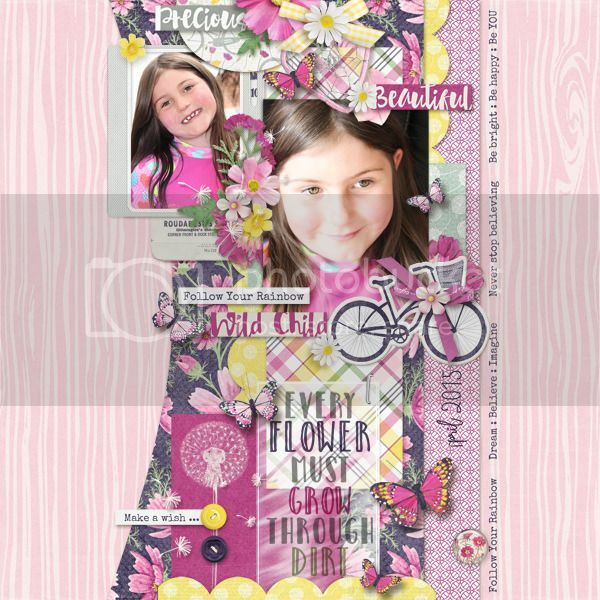 I'm using Mommyish Essential Styles for PSE & CS available right HERE @ TDP for this tutorial. 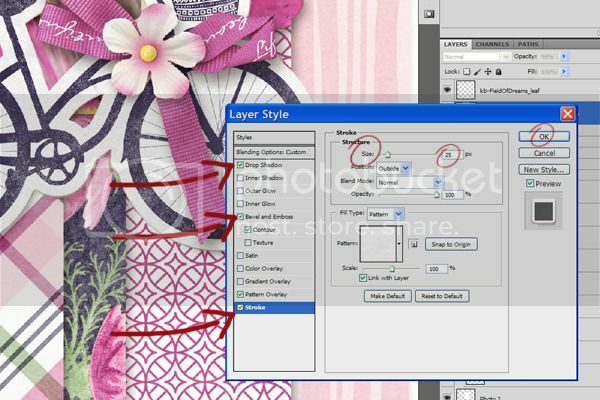 There are few ways of installing Layer Styles in Photoshop CS. *1 > By double clicking on your .ASL file from the folder you have downloaded and unzipped. *2 > By simply dragging it directly into your Photoshop window. *3 > By using your "preset manager" found under EDIT > PRESET MANAGER. > Select the styles dropdown menu on the pop up, click on load and click on your .ASL file from your saved location. Watch this fantastic tutorial on installing styles in elements by Mommyish. WOOP - now you should have your Styles loaded - ready to use and play with. 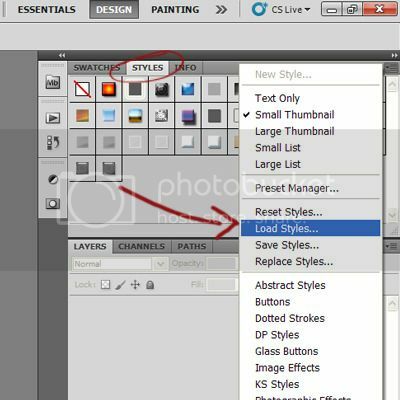 Now that you have your layer styles ready in your Styles Palette it's as simple as choosing your element/photo/text that you want to apply an effect too. Just Click on your chosen Layer Style and Voila (or Wa-lah as some will say) and it's done. Easy Peasy. I want to create my 'stamped' bicycle into a 'sticker' to make it pop a bit more. BUT it's a little larger than I want .. it's now time to modify the style to suit my page and needs. 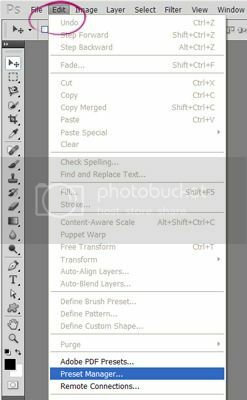 * This can be done by double clicking on the little FX icon on your 'applied layer' or clicking on the eye next to the word EFFECT. 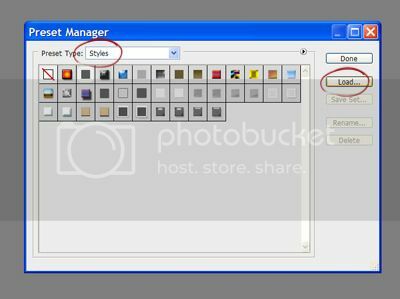 * This will bring up your layer style adjustment pop up box. 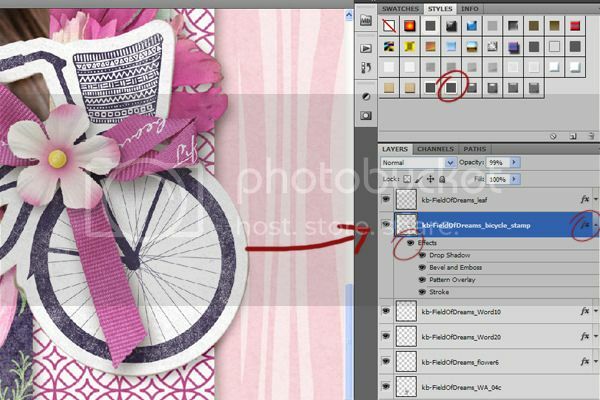 * From here you can adjust and change any of the shown selections: be it drop shadows, lighting angles, bevels etc etc. * I adjusted the stroke size(making it smaller), the bevel edge size smaller and the shadow depth less. In this way I've modified the layer style to suit my element and page. Click OK and it's done. * Want to use the same effect on more items? Just right click on the layer you have modified/applied your layer Style too, and in the drop down menu > Copy Layer Style. Now you can use it again by right clicking on the layer/element text of choice and select > Paste Layer Style. I've also used (Mommyish - Essentials - Acrylic - Shadow) to create some more interest on my word art title block. So much FUN FUN FUN.... From the basics above- you can now experiment with other styles and change them as you need too. 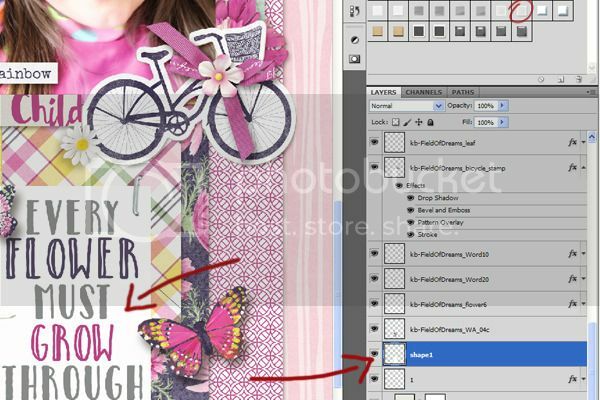 Your assignment for today is to use any TWO (or more) Layer Styles on your layout/creation (as in my example above) and let us know which element, text, word art or background you have applied it too. But most of all >> HAVE FUN playing and creating with your layer styles. Last edited by mommyish; 07-13-2015, 08:00 AM. Great tutorial, KimB! Very enlightening! I might just do this challenge. Just to add to the pot, there is another way to 'copy' your layer styles. Hold down 'Alt/Option(Mac), then, click on the 'FX' of the layer you want the style copied from and drag it to the new layer you want that style added to. By holding Alt/Opt, you are dragging a copy. You can copy layers this way, as well as the items in your open document. Great tutorial! I use styles all the time, love em! Another tip if you want to apply more than one style is to hold the shift key when clicking on an additional style so that you can stack them. Another "Duh" moment for me... I didn't know you could do that. I have been raster sizing the 1st layer style so I could use another one. For reals?! I had no idea. Thank you for sharing that tip! Thanks, Kim! I think she's gorgeous but I know I'm biased! Thanks for the fun lesson too! I used wire for the design elements and vellum for the frames. Both were in Mommyish_ESSENTIAL STYLES FOR PSE & CS. I also used Mommyish_Stylin' 127 Beveled Leather for "wanted" but I didn't see it here at TDP. Last edited by Pamie; 08-05-2015, 01:39 PM. Oh hell thats cute! 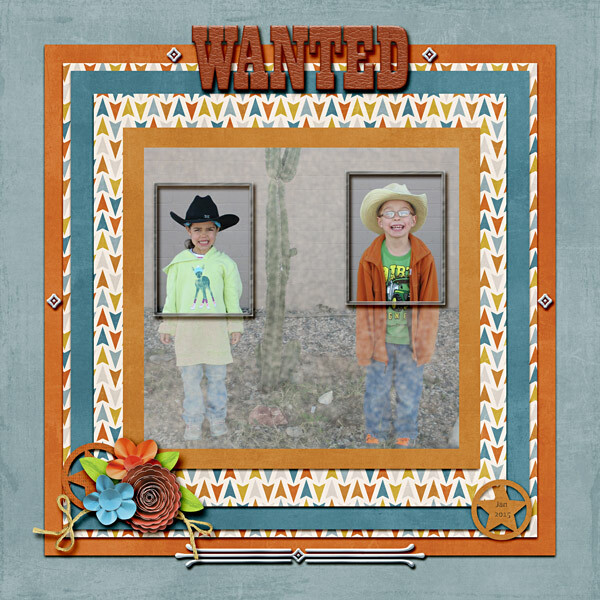 Love the framed faces and blended background. That title layer style could not have been more perfect either... fantastic page! I used the liquid style from Mommy's CU Ultimate on the girls' names in the title, and I used her beveled leather styles (Stylin' 127) on the other major words in the title. I also used some non-TDP stamp styles on the rest of the text and on the elements (except the arrow which was already a stamp). I wasn't sure if non-TDP styles would be allowed for this homework. If I need to reupload without the non-TDP styles, please let me know. Last edited by nowens; 07-14-2015, 02:42 PM. ahhhh I'm loving the question/answers! And of course Grandma has to be the fav for both. How old are they? The page is perfect and you used quite a few layer styles to get the end result with is AWESOME.. LOVE. Thank you! 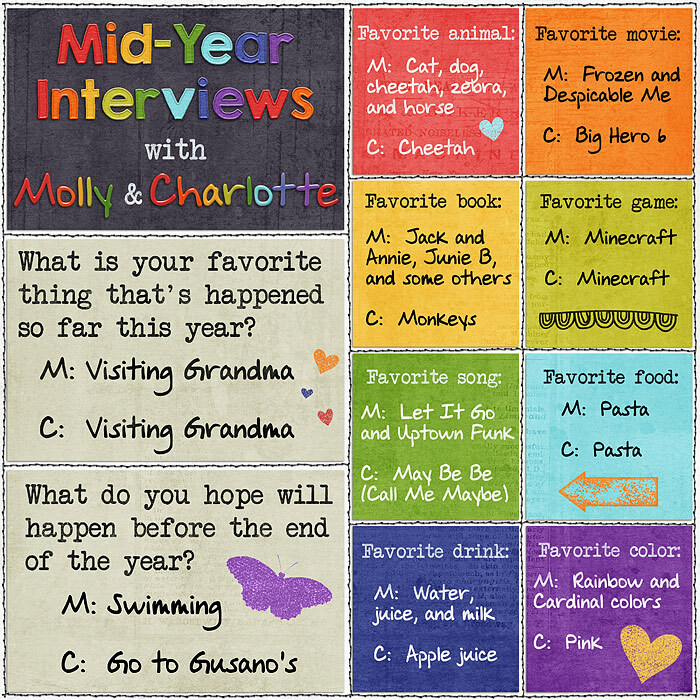 Molly is 7, and Charlotte is 4. 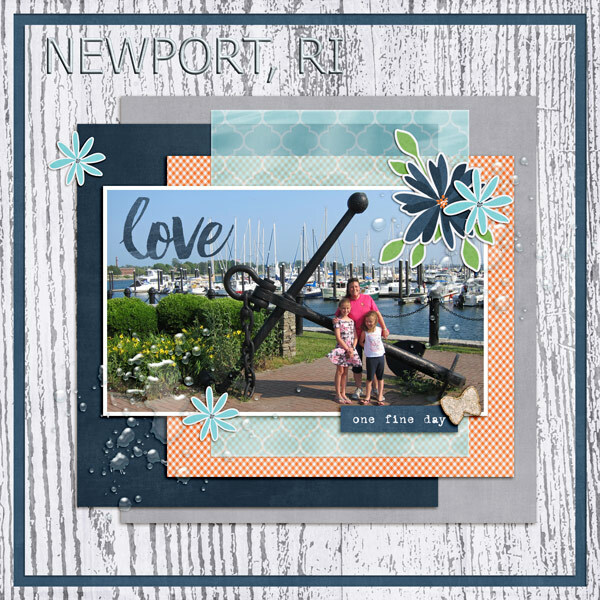 I used Mommyish's Essential Styles -wire for the text, "Main Street" and for the inner frames over the pictures. 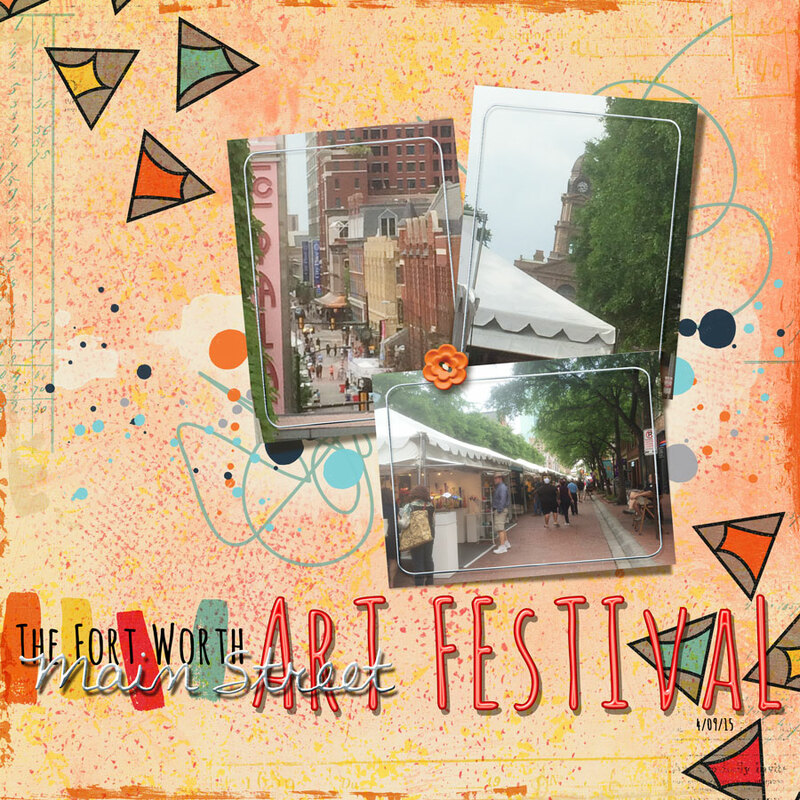 I used the PSE built-in style, Neon for the text, Art Festival." Last edited by Pamie; 08-05-2015, 01:41 PM. Suzanne your image is broken my side and I can't see it? Click the IMAGE icon ( looks like a landscape mountain) and just insert your direct image link into it.. works a treat. PS... LOVE the fun fun layout and the use of the wire and the Neon one is PERFECT for this! I'm getting very frustrated with the forum software. I have been plagued with issues posting and uploading most of the summer. Is there a step by step process somewhere of how to make all this work? I've been uploading to member gallery, then use the image link provided there to post in the forum. I use the button on the right that has a paperclip. Most of the time I get error messages. What gets me really confused is I can see the images, so I can't tell if they visible to others or not. When I use the link in the gallery (the top one of the 3 on the side), I just paste it directly in the reply area without clicking the paperclip. Maybe that will work better for you. Good luck! So, I used Mommyish Essential Styles for the vellum paper mat, her water style freebie to transform a dirt splatter into water from In the Garden by Laura Passge, and Mommyish wire style for the Newport title. Thanks for the tutorial!!! LOVE that photo!!! and Great job on the splatter turning into a splash- awesome job!